법무법인 우일의 블록체인 (리걸) 연구소 개소식이 지난 6월 11일 성공적으로 열렸습니다. 암호화폐, 디지털 토큰, ICO, 블록체인 업체의 해외 법인 설립, 백서 및 계약서 검토 등에 대한 법률자문뿐만 아니라 국내외 국가들의 규제·정책·제도 분석을 진행하여 관련 법률 수요에 맞는 서비스를 제공하기 위해 블록체인 연구소를 출범하였습니다. 법무법인 우일은 이번 개소식을 기점으로 블록체인 관련 업체 또는 개인들에게 효율적이고 정확한 법률 서비스를 제공할 예정이며, 또한 해외 로펌들과의 업무 협약을 통해 해외에 법인 설립을 하고자 하는 업체들의 원활한 사업 진행을 도울 예정입니다. The opening of Blockchain (Lagal) Research Lab of Wooil Lawfirm was successfully held on June 11th. Our Wooil Lawfirm provides legal consultations on cryptocurrency, digital tokens, ICO, establishment of overseas Blockchain corporation, review of white papers and contracts, as well as analysis of regulations, policies and systems of domestic and foreign countries. We will provide effective and accurate legal services to the Blockchain related companies or individuals starting from this opening. We will also provide legal services for companies that are seeking to establish a corporation overseas through our business agreements with overseas law firms. 일본 도쿄에 위치한 도쿄국제포럼에서 지난 6월 26~27일 2일간 ‘JAPAN BLOCKCHAIN CONFERENCE-TOKYO Round 2018(JBC 2018)’가 개최되었습니다. 블록체인 업계의 저명한 인사들이 연사로 초청되어 강연을 하고, 여러 팀들이 다양한 이벤트와 함께 자신들의 프로젝트를 알리는 큰 행사였습니다. 법무법인 우일의 대표변호사인 안영주변호사와 소속변호사인 이재림 변호사는 이 행사에 직접 참여하여 블록체인에 대한 여전히 뜨거운 열기를 경험하고 블록체인 업계 사람들이 법적인 이슈에 많은 관심을 가지고 있다는 것을 다시 한 번 확인하였습니다. JAPAN BLOCKCHAIN CONFERENCE-TOKYO Round 2018 (JBC 2018) was held on June 26th ~ 27th at the Tokyo International Forum in Tokyo, Japan. It was a great occasion that distinguished people from the block-chain industry was invited to speak at the forum, and several teams announced their projects with various events. 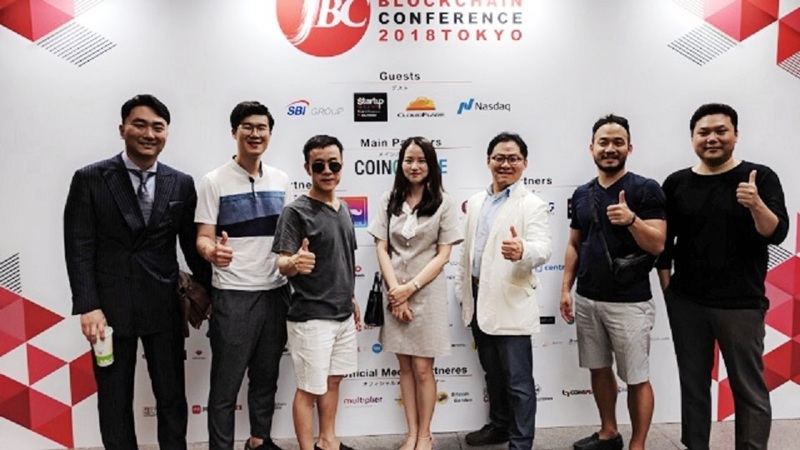 Partner Attorney Young-Ju Ahn and Associate Attorney Jae-Lim Lee of Wooil Lawfirm attended the event and were reminded that people in the block-chain industry were very interested in legal issues. 얼마 전 몰타에서 암호화폐 관련 법안 3개가 통과됨에 따라 몰타는 명실상부한 블록체인 친화 국가로 자리매김하였습니다. 이에 법무법인 우일의 대표변호사 안영주 변호사는 해외에서 ICO를 진행하려는 우리나라 프로젝트 팀들이 몰타에 해외법인을 설립하고자 할 때 필요한 사항이 무엇인지에 관하여 직접 알아보기 위해 몰타를 방문하였습니다. 안영주 변호사는 몰타에서의 법인 설립 및 운영 자금 문제 등 ICO 진행 프로젝트 팀들에게 필요한 법적 이슈에 관하여 확인하고 몰타에서 가장 블록체인에 특화된 법무법인과 협력관계를 맺는 수확을 거두었습니다. As a result of the establishment of three cryptocurrency bills in Malta, Malta has become one of the most Blockchain-friendly countries. 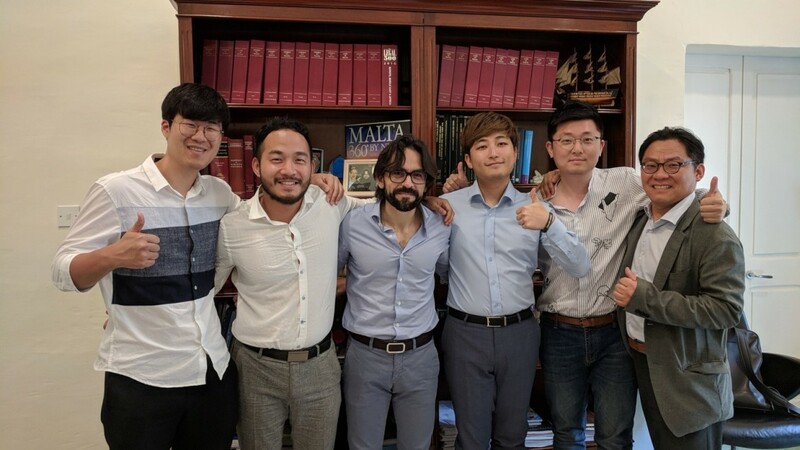 So, Partner Attorney Young-Ju Ahn of Wooil Lawfirm, visited Malta to find out what Korean project teams (who want to establish ICO corporation in Malta) need. Our Partner Attorney Young-Ju Ahn confirmed the legal issues that need to be done by the ICO project teams, such as the establishment of a legal entity in Malta and the issue of operating funds, and has built partnerships with a Blockchain specialized Lawfirm in Malta. 법무법인 우일은 지난 7월 9일 ‘ICO와 제반 법적 문제’라는 제목의 세미나를 개최하였습니다. ICO Process Map, 해외 ICO 법인 설립 비교 분석, ICO와 형사법적 Issue, 블록체인과 특허 등의 주제로 세미나를 진행하였습니다. ICO를 진행하려는 기업들에게 법률적으로 실질적인 도움이 될 수 있도록 관련 주제들에 관하여 준비한 결과 성황리에 세미나를 마칠 수 있었습니다. On July 9th, our Lawfirm held a seminar titled 'ICO and Legal Issues'. We held seminars on topics such as ICO Process Map, comparative analysis of establishment of overseas ICO corporation, ICO-related criminal legal issue, Blockchain and patent. We were able to complete the seminar successfully as we prepared the Blockchain related topics to help the companies proceeding with ICO. 법무법인 우일의 대표변호사인 안영주 변호사와 소속변호사인 이재림변호사는 BRP와 COINUS가 공동으로 주최한 프라이빗 밋업에 참여하였습니다. COINUS, 칠리즈, 덱스탑, 플레타, GXC, INFINITY, Lucidity, Platin, Pledgecamp, Rtree 등의 팀들이 자신들의 프로젝트를 소개하는 자리를 갖고 업계 사람들과 네트워킹을 하는 시간을 가졌습니다. 우리 법무법인은 실제 블록체인 관련 사업들이 어떻게 진행되는지 직접 경험하고 어떤 로펌보다 산업을 잘 이해하고 로펌이 되기 위해 이번 밋업을 다녀왔습니다. 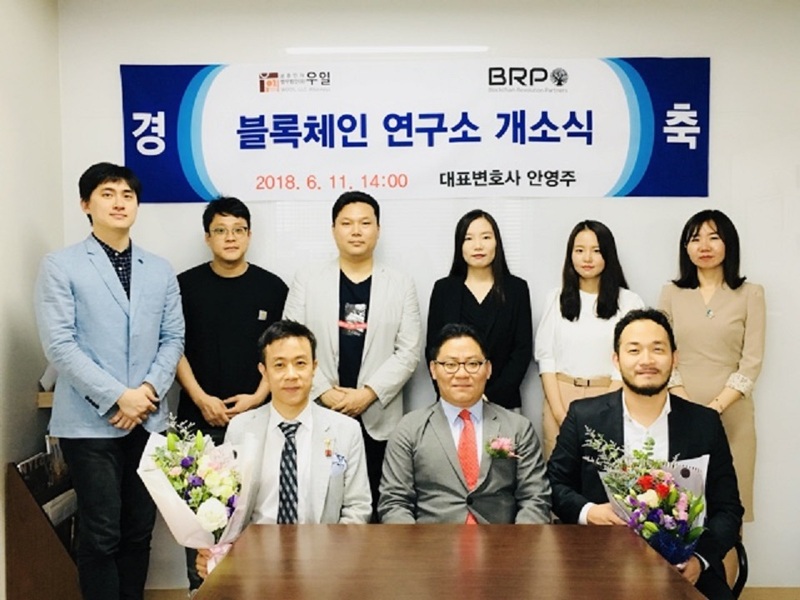 Partner Attorney Young-Ju Ahn, and Associate Attorney Jae-Lim Lee of our Wooil Lawfirm, participated in a private seminar, organized by BRP and COINUS. 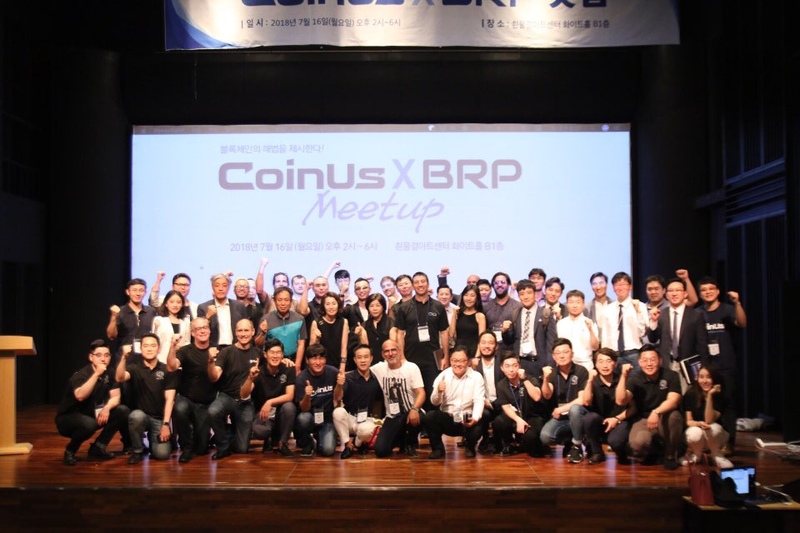 COINUS, chiliZ, Dex Top, Fleta, GXC, INFINITY, Lucidity, Platin, Pledgecamp, and Rtree were given an opportunity to introduce their projects and we had networking time with people in the Blockchain industry. We, Wooil, participated in this meetup to better understand the block-chain industry than any law firm and to gain hands-on experience of this industry.